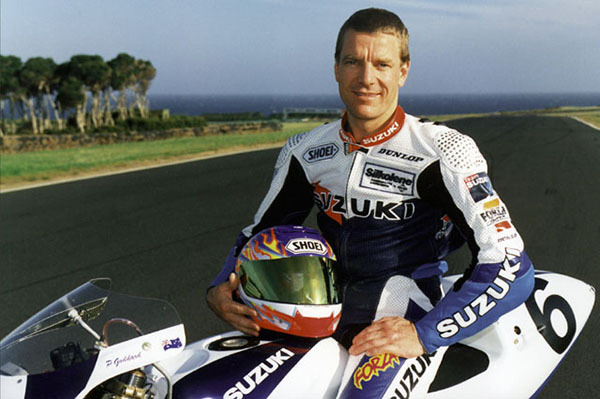 This week we spoke to Japanese 500cc Championship, Australian Superbike Championship and World Endurance Championship winner, Peter Goddard. It was 1996 when you won the Australian Superbike Championship. Tell me about that title and the prestige of having that title means to you? Well I won the All-Japan 500cc Championship in 1991 and then went on to the 500cc World Championship in 92’ with a B spec bike in a B spec team – they were nice people but just inexperienced like myself. Then I went back to Japan in 93’ on the Lucky Strike Suzuki, and it was a downhill road. I ended up back home and rode in 94’. Then in 95’ I had to take over the team because Suzuki pulled out of it and I was lucky enough to get people behind me including Suzuki, to start the team up where I could run it myself. In 96’ we got a brand new bike and Suzuki really got behind us. They were very much for racing and Suzuki wanted this new bike to be raced. We started the year on the old bike because we didn’t have the parts and I think we did Phillip Island on the other bike. We got enough points to be safe but we had to chip away all year – we got Phil Tainton on the team working on it so we had a really good package. The new Suzuki was fast which the old bike wasn’t. It made me happy because I could actually pull out and pass Marty (Craggill) on the straight and hadn’t been able to do that since I started with Suzuki here in Australia. That title was the launch of me back to the world stage which is where I wanted to be, but it was in the Endurance Championship when I really wanted to be racing in Superbikes. So that title obviously re-launched you going back onto the world circuit? Well I won that and I was so impressed with Troy Bayliss on the Kawasaki. I moved onto World Endurance because that was all I could get with Suzuki and then trying to get onto the world scene, I put Troy on the team here. Troy is a brilliant rider and it was one of his stepping-stones to get in the world market as well. 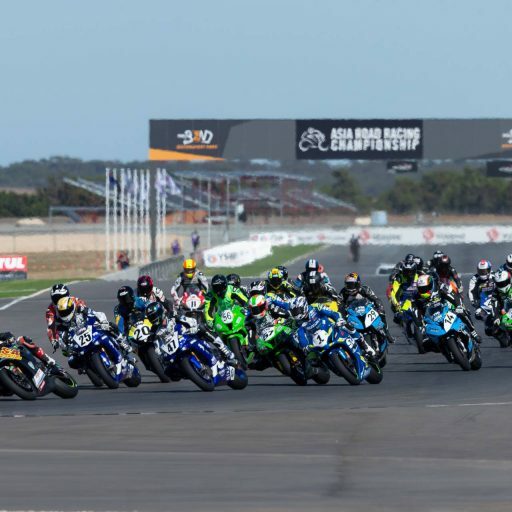 So we have the ASBK effectively rebranded and all new this year, how important is it for the championship to get back to the glory days of that stepping stone? If Australian’s are going to go back overseas it’s paramount. It’s paramount that it’s like it used to be, there has to be a feeder class in the production bikes and you’re not allowed to modify them because then it brings the rider through. Then you can put a rider on a Superbike where the Superbikes need to be cost effective. Finally maybe we might be able to see the Australian riders have a series here, then race in this race and do well because the bike level will be similar. 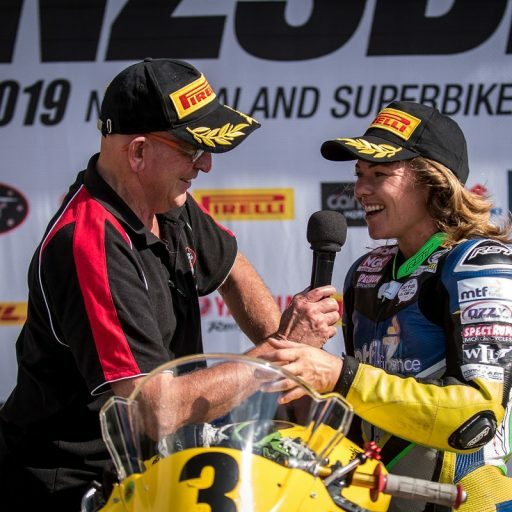 Australian Superbike needs to re-gather themselves to put the right people in place and that’s the only way Australian’s are going to get overseas again. How important is it to see some of our former champions coming back to help promote this series in terms of the development of Australian racing? I think it’s really important. The best thing is at the moment, myself, Troy (Bayliss), Chris (Vermeulen) and Jason (Crump) for example, a lot of older riders are promoting the sport now and that’s very important for sure. We were respected and looked up to, maybe even a little forgotten because we are so old now. But if we put back into the sport like what we got out of it and try to grow it again, I think that’s what we need. Do you think if a rider wants to take it overseas, it is only achievable with big money behind them? No – for me it’s talent, there are kids in Australia that deserve to be overseas but because we’ve had such a mishmash of championships there’s been no promotion behind those riders. Like Troy Herfoss and Josh Hook have made it but there are also riders that have missed it now that should have never stopped going, and that was a fault of our system, where we need to improve our system. Do you feel like the system is back on track? It’s gaining momentum which is nice to see, and the right people are getting involved in it.